Posted on 5, September 2016 by EuropaWire PR Editors | This entry was posted in Art & Culture, Education, Marketing, United Kingdom and tagged Aberdeen, Aberdeen City Council, funding scheme, Marie Boulton, Professor Sir Ian Diamond, Silver Stories initiative, The University of Aberdeen, Visit Aberdeenshire. Bookmark the permalink. ABERDEEN, 05-Sep-2016 — /EuropaWire/ — Principal of The University of Aberdeen, Professor Sir Ian Diamond and Depute Leader of the Council, Marie Boulton formally launched the funding scheme in the Townhouse in Old Aberdeen at a ceremony yesterday evening. 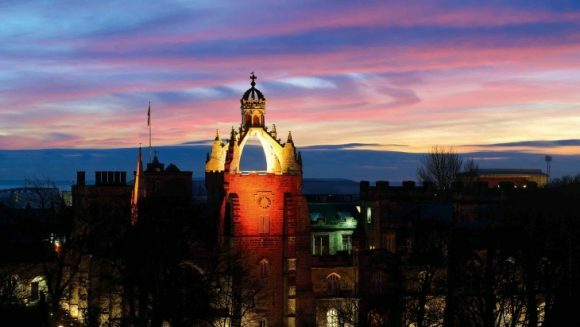 The joint initiative, led by Aberdeen City Council, the University of Aberdeen and Visit Aberdeenshire comprises a fund of 110k that will be made available to groups who wish to create a series of events themed around Aberdeen’s history, heritage and archaeology. The winning events will form part of the Silver Stories programme to be held in Aberdeen City in the summer of 2017. The programme will be created by inviting residents, artists, community groups, cultural organisations and other interested parties to develop and submit ideas, projects and activities which will showcase, celebrate and debate the history and heritage of Aberdeen.